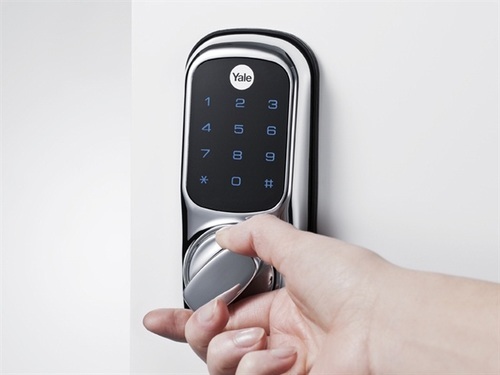 What Do You Need To Know About Electronic Locks? 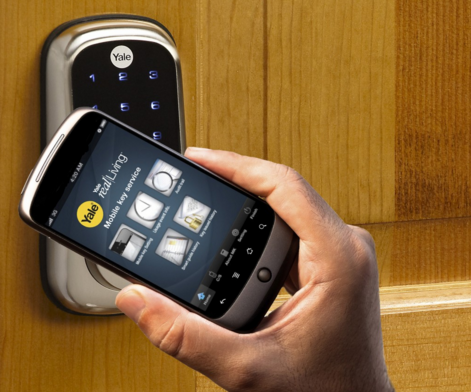 Electronic locks or smart locks have been gaining popularity over the last decade as they offer numerous benefits over traditional keyed locks. These locks have several automated featured that makes them very attractive and numerous cutting-edge security providers now sell them at competitive prices for homes and businesses. The most popular and well known type of electronic locks are electric strikes, electric latch retractions, electromechanical locks, electromagnetic locks, biometric locks, and NFC locks. They may or may not have a physical locking mechanism as well. Electrical currents are used to power a motor, a solenoid, or an electromagnet depending on the composition of the lock in question. Such locks are typically either fail-secure or fail-safe. The current is needed to both open and close the lock, and you essentially need an electronic key to do both. The definition of a key is broad in this sense as it could be a traditional key, a code, a retinal scan, an NFC signal, or some other electrical mechanism. Traditional locks typically rely on some variation of the ‘pin and tumbler’ method for their mechanisms. When a key is inserted, the key essentially moves each of the small metal pins within a lock to a particular distance to create entry. In an electronic lock, an actuator is used to connect the bolt to a motor, which may or may not be buried within a door. This motor is controlled electronically and it can be triggered in any way depending on the manufacturer’s choice. The door lock is opened only when the motor-driven actuator gets the preset electric input. How does it affect locksmiths? Locksmith Montreal is now specialize in dealing with them en masse as electronic locks are widely considered to be the future for locks. In this age, being an electronic locksmith is a very profitable career choice, and locksmiths who do not know how to work with electronic locks are at a disadvantage, especially in big cities and suburban areas. There are several courses offered for locksmiths that provide training in this avenue and they have become exceedingly popular as traditional locksmiths aim to expand their skill set to either retain or expand their customer base. Most electronic locking mechanisms have their cons such as expense, hackability, and susceptible to damage. However, they offer far more benefits over traditional locks such as greater security, controlled access, instant resetting, and long-winded, secure codes. One day the world will have nothing but electronic locks and traditional locks will be obsolete, but in today’s world, practicality takes precedence. You should ideally make the investment in an electronic locking system only if your security needs are quite high. Of course, if you just want an electronic lock, go ahead!